Le Chevrot — C’est Magnifique! The lush valley of the Loire River in central France is rich in history, architecture and cuisine. Its sophisticated cities, luxuriant landscapes, magnificent foods and superb wines create a paradise for locals and tourists. Orlé ans, capital of the Loire departement (departements are equivalents to counties in the U.S.), was France’s intellectual capital in the 13th century, attracting artists, poets and troubadours to the Royal Court. But this medieval court was fickle in their fancies, never staying in one place for long, which led to the building of magnificent châteaux all along the Loire River. The region is renowned for these regal relics of royal days gone by, as well as its vast array of vineyards and wines. 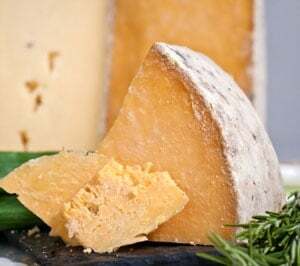 Of course, we would be remiss to omit mention of the stunning diversity of cheeses that come from the area, especially since we are featuring the very delicious Le Chevrot which comes to us from this famed valley. The Loire Valley is particularly famous for its goat’s milk cheeses. They come in a wide array of shapes—you’ll find everything from pyramids, wheels, truncated cones, hearts, logs and cylinders.This style of cheese was probably introduced to the region in the 8th century, when the Saracen (as Muslims were known at the time) invaders from Spain reached the southern banks of the Loire River. Most of the invaders were later repelled, but some remained with their goat herds, ultimately providing the foundation for their famous goat cheeses or chè vres, which means “goats” in French. Le Chevrot, an unquestionably superb goat’s milk cheese, is handmade near the province of Poitou, which borders the Loire Valley to the southwest. It has a supple, lush quality, an inviting aroma of ripe figs and a fresh, buttery, slightly nutty, and faintly fermented (wine-like) taste. You’ll find this cheese encased in a wrinkly rind that is edible; in fact, eating the rind strengthens the flavor of Le Chevrot. 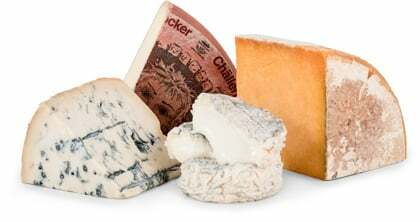 The cheese itself is moderately aged and is an example of an excellent compromise between mild taste and rich texture. Its flavor intensifies when grilled, and in fact, broiled chèvre is the basis of a delicious chèvre salad popular throughout France. Young Le Chevrot has off-white, slightly wrinkled rind. When very young, the cheese has a gentle, aromatic, yeasty taste and a fine, moist texture. As it gets older, the interior softens and the flavor becomes nuttier and fuller-bodied. At its peak age (which is what we feature in the Club), the cheese is denser and creamier, and there is a fruity tinge to the taste. Le Chevrot is especially well-suited as a snack to enjoy with bread and your favorite authentic French champagnes or white wines from the Loire Valley.